GCFC members fly club aircraft (WET) from the club by Tach Time, not Hobbs — which can save a pilot a lot of money. Hourly rates for the airplanes are quite reasonable. All scheduling is done online through Aircraftclubs.com A minimum of two flight hours per member is required and billed each month to maintain pilot proficiency. The club has a Cessna 172 and a Cessna 182. NEW to the fleet is a PA-28/180 Piper Cherokee. GCFC is an IRS 501 (C) 7 Corporation registered with the AOPA’s Flying Club Initiative. Like us on Facebook! Founded in 1927, the Clemson Flying Club is the oldest, continually run flying club in the country. The club earned its namesake when the founding members built and flew their own aircraft. 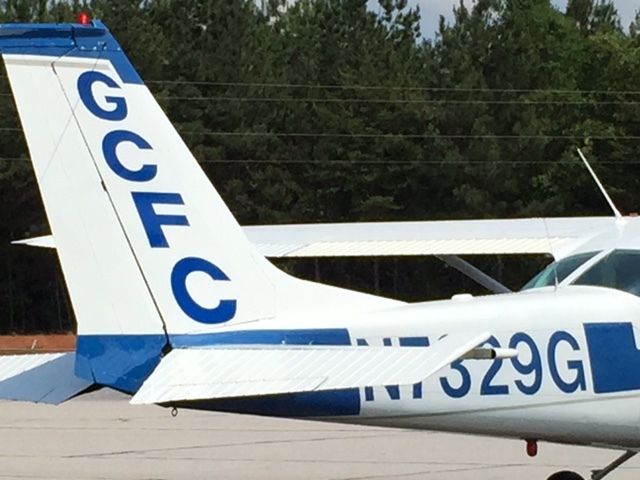 Today, the Flying Club introduces Clemson students, staff, and alumni to the world of general aviation. We offer flight training as well as rental to those with the proper qualifications. The Flying Club also hosts several flying related functions throughout the school year. We coordinate with other schools and compete in various flying events.